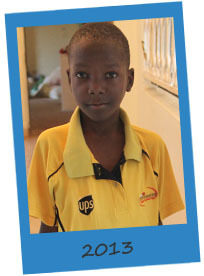 Ryan is among the five youngest children at home who hasn’t learnt to speak yet but he always says thank you. Ryan is great in the morning but not a fan of bed time. He needs help with most activities because his motor skills are still developing but he enjoys finger painting activities. Ryan is learning to share, but loves playing with balls and his favorite toy’s are cars. History Ryan was brought into Jaja (before turning 1) by her youngest brother who was paralyzed after an accident, the mother left him and the father can not work so Jaja took over the care of Ryan. Rahman is very quiet & uncomfortable with strangers. Not very physical or talkative due to his health but he is most comfortable & secure by jajja’s side so will join in “circle time” sat next to jajja. History Mother brought him at around eight months, said she was going to look for the father of the boy, she did not return. 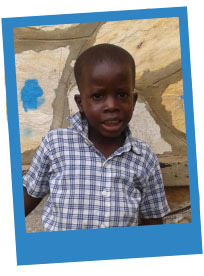 Joshua has come out of his shyness, he is quick to learn and loves learning new words, he also likes to teach volunteers to speak Lugandan and loves blowing kisses! 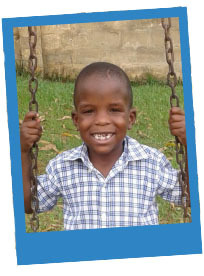 Joshua is friendly and likes sharing with his friends, colouring/painting activities in group. 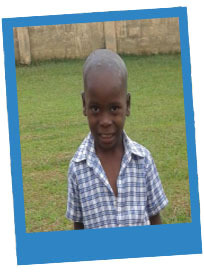 History Joshua was brought to Jaja by his mother and abandoned. 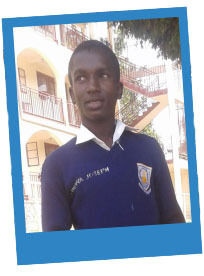 She claimed that Joshua’s father had gone to work far away and that she was temporarily going to look for him in western Uganda but she never returned. 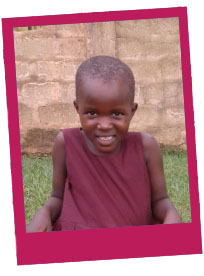 Little Brenda is shy at first but very cuddly with an infectious big smile. Everything she does is dainty & delicate even when she speaks (the words aren’t clear but she is gaining confidence to talk). She enjoys finger painting, interactive learning and loves wearing her favorite dirndl dress! Recovered from pneumonia and severe malnourishment. History Brenda was brought to Jaja when she was 1, by the local area chairman. Her mother had been murdered by her father and was later found in a trench in the slums. Junior is the newest member of the family. It has taken him a while to settle into the home, although hyperactive at times we are pleased to see him learning to play/share with the others. He can be sensitive but just needs care, he loves cuddles, finger painting, cheeky when in a good mood and playing in dirt! History Junior was brought to Jaja at only 4mnths by a girl in her early 20’s (Jaja says “she was a prostitute from the way she dressed-mini skirts/half blouses”) The young girl said she was working in town. In the first week she came 3 times to bring him Milk but was never seen again. 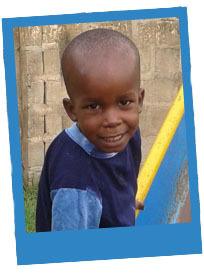 2mnths in Jaja’s home, Junior fell very sick with Malaria, Diarrhea and Measles. A good Samaritan from the Watoto Church who came to visit Jaja was so touched they took him for treatment. Junior spent 18mnths with the Watoto Church until they heard the news of LIUU and returned Junior to Jaja in the Live it Up Uganda Home. Lailat blossomed out of her shyness, she is now social and likes helping little ones and spending time helping Jovia (the cook) preparing meals. Lailat enjoys the interactive learning lessons in the home, socially she likes sharing and playing games that involves team work. She loves girly things like singing, skipping and playing dress ups with her best friend Regina. Normal- cough and common colds. History Lailat’s mother from the slums left her under Jaja’s care, claiming she was going to go to work and would return in the evening but she migrated the next morning and never came back. 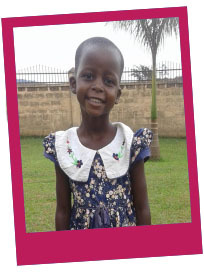 Regina is quite (timid to talk) but she is very bright and always has a huge smile on her face. 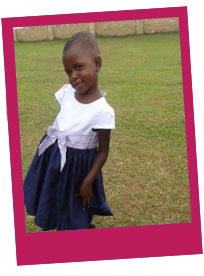 She excel’s in the interactive learning classes in the home and we think she will enjoy her first year of school. She likes sharing with friends (best friend is Docus) especially when it comes to playing with her toys. Regina has a huge appetite. Malnourished, otitis externa, recovering from pneumonia – * the nurses where amazed at her quick recovery & improvement . 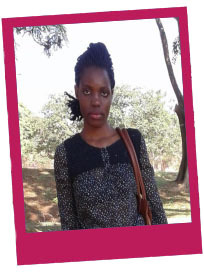 History Regina was brought to Jaja at 7 months by her Mother claiming she was going to look for a job but she did not return. Aklam’s has made the most drastic improvement, he was the one we worried most for (due to health concerns) but we are so proud of his development . Over the past year he has blossomed from a severely malnourished/weak little boy into a well built, strong, pleasant and happy Aki! He is now able to participate in interactive learning activities although he is still learning to talk he is very independent. He still loves organizing and stacking things (this is a habit of his) socially he likes sharing things with his friends and is very playful. History Aklam was brought to Jaja when he was 1, by his mother (a girl Jaja had also raised). His mother came back twice in the first two months but then never returned. History Rose (Docus big sister) was brought to Jaja at 2yrs old. A brother of Jaja’s died and the mother was too poor to take care of her. When she remarried she was not allowed to keep her children from the previous marriage. Docus loves reading and painting activities although she can be tricky to pin down at times because she is very adventurous and likes to do things her way. She is usually singing, skipping, running, playing with toys (bears) or busy getting into mischief by her cheeky self which is why she has the nick name Docacheee! History Docus (Rose’s little sister) was brought to Jaja at 7mnths. A brother of Jaja’s died and the mother was too poor to take care of her. When she remarried she was not allowed to keep her children from the previous marriage. 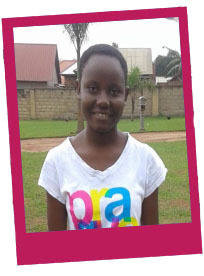 Ruth (Nakakawa) is a bright and eager learner, happiest playing with her best friends (Miriam, Brenda, Veronica & Rose) and talks a lot at the dinner table! Although she is cheerful and independent unfortunately she does have a low self esteem when it comes to physical activity’s. Initially we were told she has Polio but we need to further investigate, Jaja says that Nakakawa’s leg was broken when she was brought in as a baby and it grew out of place. We will investigate possible reconstructive surgery . History Ruth was Born in Jaja’s house by a girl Jaja had raised as her own. 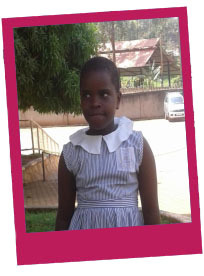 The mother used to come to help Jaja with the house chores and bring clothes for Ruth when they were in the slums. Kevin is very caring and protective of the little one, he likes helping in home activities like the chicken farm and garden. 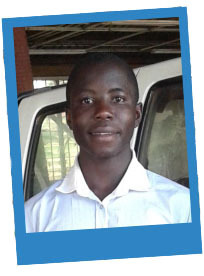 He is very bright in class (attends the top class for his grade) and very energetic. He has a passion for photography, you give him any camera and he will figure out how to use it even experimenting with angles/positions (this was not taught to him but a natural instinct he has, we would love to nurture this talent of his & encourage him by finding a mentor photographer who can guide him). Kevin has a cheeky habit of hiding other peoples things (especially the bigger kids). History Kevin (Veronicas little brother) was brought to Jaja at 2yrs old by a girl Jaja had raised as her own. The girl said she had failed in her marriage and was going to look for a job. Initially she would often pass by to bring clothes and food but after a while she stopped returning. Big Brenda is always eager to be a “little helper” she helps Jaja a lot and is very close to her (when ever she has a nightmare Brenda prefers to climb into bed with Jaja). Brenda is confident enough to give everything a go, she would rather give it a go then say no without trying. She makes an effort to speak English even if it comes out broken, its beautiful to see she has this confident determination about her. History Brenda was brought to Jaja at 3 months by the local area Chairman. The mother abandoned her by a shack in the slums. 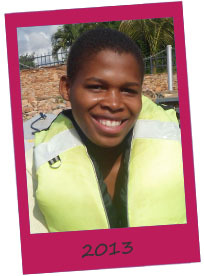 Ruth is social and friendly (best of friends with Veronika) and always helps out with household chores. A really good role models for the little children, she likes helping them especially Akram. 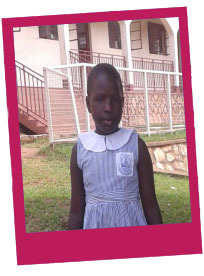 Ruth enjoys school and has been made “class monitor”, her books are very organized, neat, good hand writing, her homework is always done (she understands what she is doing) and teachers say she’s a pleasure to teach. History Ruth was brought to Jaja by her mother who lived in the Neighborhood slums, she claimed she was going to work and would return but she never did. Paul has a heart of Gold! He is so kind/helpful, very thankful, always smiling and has a great appetite! 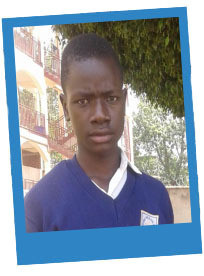 We were very proud to here he was able to receive 95% his first year of deaf school, having never learnt sign language before he quickly learnt to catch up with the rest of his class. Paul has never let his hearing impairment restrict him, he is very expressive and we have recently noticed his passion for photography (we are very excited to see if this could be his artistic choice of expression/communication). At times he can seem hot tempered but that’s when he feels intimidated by the other children and you can see the frustration that he cant communicate his feelings to them. History Paul’s Father abandoned him with his mother, saying he can not be a father of a deaf boy. Paul’s Mother was raised herself by Jaja, she worked as a waitress in a restaurant in town. She passed by once in a while. 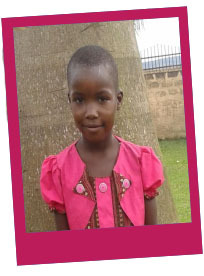 Veronica is a very smart and intuitive little girl, such a great role model she loves and takes care of the little ones, always helping around the home with chores (like helping the children wash their hands before meals). She can seem to be timid but is a quite observer. 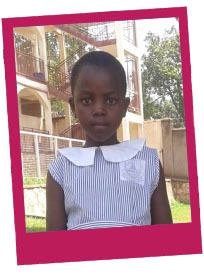 She enjoys school (bright in class) and independent, she is good at singing, dancing and running and is a very nice to everyone. History Veronica (Kevin’s big sister) was brought to Jaja at 2yrs old by a girl Jaja had raised as her own. The girl said she had failed in her marriage and was going to look for a job. Initially she would often pass by to bring clothes and food but after a while she stopped returning. Roger is our LIUU mascot, he is multi talented with a lot of ambition and drive to be the best he can be (he believes in himself so he doesn’t need to be pushed, he already has that determination in him)! He has an eagerness to learn more about the world so loves spending time learning from our conscious travelers/EK Crew about how things work in other countries. 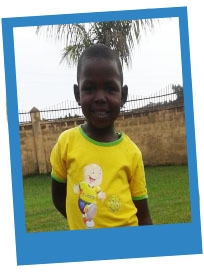 He has good football skills/tricks and is in his element when he has a football by his feet. 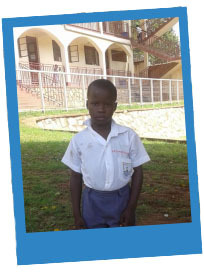 Roger is enrolled in the Kampala Kids league to encourage his passion. History Roger (Gracie’s little brother) was brought to Jaja when he was 1 by a man Jaja had raised as her son. The mans wife divorced him & abandoned them both because he had become abusive. The father still visits from time to time but he only knows him as Jaja’s son not his father. History Brian’s mother left their home in the slums and the father was abusive as he was mentally disturbed. 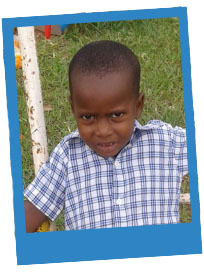 Brian was rescued and brought to Jaja’s home at 2 years. Joseph loves watching Chinese kung fu movies! He’s a typical boy, not a fan of chores or showers but he’s our go to man for fixing the Jerry can lanterns when the electricity goes out. Joseph has a warm heart towards Nakakawa because she looks up to him he’s very protective of her. History Joseph was brought to Jaja by one of the girls Jaja raised as her own. She abandoned Joseph at Jaja’s house. Sylvia is a strong independent little lady (with a lot of self respect) she is determined to succeed and has this feisty character that we believe will help her achieve anything she puts her mind to. She loves reading and learning about other cultures. History Sylvia is a daughter of Jaja’s niece who died. 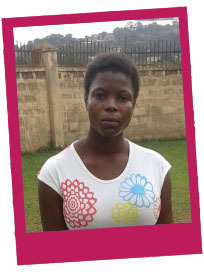 She was not treated well by her mothers family because she was born out of wedlock so Sylvia ran away to Jaja. 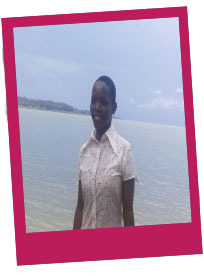 Doreen is a talkative cheerful little lady, she is very helpful to all and a bright student. He grades are excellent and receives encouraging feedback from teachers. Doreen has an interest in languages, whenever we have volunteers at the home she always tries to learn and remember different greetings. History Doreen was brought to Jaja by a girl Jaja had raised. Her mother divorced her father (because he was violent) and left Doreen at 4 months. 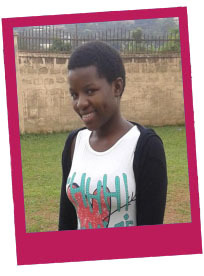 Grace is always singing with a big smile on her face, she is part of the choir and spends her free time choreographing dances with Sylvia, Doreen and Amina. Gracie has a soft warmth and very caring nature, she is naturally good with the little children (they love her, especially little Brenda is she is sick she want no one but Gracie) which is why she wants to be a mid wife, she loves taking care of babies. History Grace (Rogers big sister) was brought to Jaja when she was 3 years by a man Jaja had raised as her own. His wife divorced him & left him because he had become abusive. Her Father still visits from time to time but she only knows him as Jaja’s son not her father. Faridah is very timid and tends to hide from people, with time she is coming out of her shell but growing she didn’t develop mentally at the same pace as other children which has given her a low self esteem, she often feels left out at school by children who call her “slow” (she was being bullied because she has been repeating the same grade for the past 4yrs). We moved her to a new school to give her a fresh start, she seems a lot happier. We will monitor her but considering taking her out of school and into a Skills Internship program because we understand not everyone is academically gifted and we want her to believe in herself. History After Farida’s mother died her father brought her to Jaja (at 7mnths) claiming he was going to work far away and would be checking in on the kids but he never returned. Farida is Swaleh’s little sister. 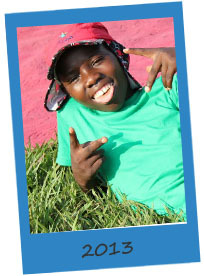 Amina is a bright personality with a lot of confidence. She’s respectful but hides away from chores. School isn’t her best trait but with her social personality and confidence she can accomplish great things. Her English is improving as she gets more confident to speak it. We are considering possibly enrolling her in a beauty school (she is struggling with her grades and she would like to be a hair dresser) for skills/vocational training. History Amina’s family were Jaja’s Neighbors. She was brought in at 6mnths after her mother died and the father could not take care of her because he had a mental disorder. Swaleh is the “go to man” he knows how to fix anything and everything around the home, if he doesn’t know, leave it with him and he will figure how. A natural and handy talent he has, especially because he would like to have his own business trading parts (We are looking for a mentor for him, someone who is in the same industry that he can look up to and be his apprentice) At school he’s “Mr Popular” and enjoys football, dancing, making people laugh and entertaining. History After Swaleh’s mother died his father took him when he was 2yrs to Jaja’s, claiming he was going to work far away and would be checking on the kids but he never returned. Swaleh is Farida’s big brother. Sandra is extremely determined and driven to succeed. 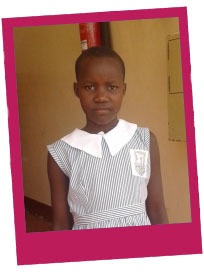 Having grown up in the slums of kuntunga since the age of the age of 2 by Jaja who raised Sandra to know that education was key to her survival, she is an ambitious student who would like to become a secondary school teacher. She finds trusting strangers hard at first which is understandable as she says she has seen many people cheat Jaja so she is protective of her family, Sandra keeps her heart close to her but she has a big heart and a lot of respect for Jaja and wants to make her proud. History Sandra was brought to jajja at 4 months. The mother had died, the father died shortly after.Jajja decided to stay with her because she had no one to take her to.